Hi all! 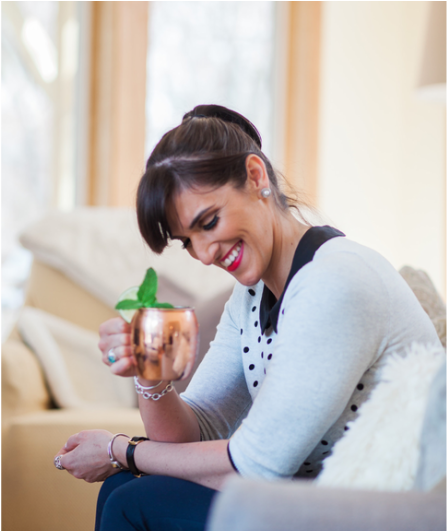 I am Amanda Ferguson, a NY gal who is beyond passionate about two things: Drinks & Decor. I started sharing my love for decor through Instagram (You can follow instagram by clicking here) when I moved into small basement apartment with my (now) husband that needed some major TLC. Actually if I am being honest with you guys....I really HATED that apartment, but vowed to make the most of it and "cozy it up" the best that I could. I knew it was only temporary and it was! It taught me to really make the most of the space that you're in. We recently moved again to small rental house which I have been loving fixing up and decorating. We are newly married and saving for our first home which is not the easiest task here in NY. I wanted to share with you guys some ways that you can style your home, apartment, condo, or whatever it is without spending a ton of money. I believe having a cozy home isn't necessarily having the biggest or fanciest house; it's adding a sense of comfort to your space that shows your personality, adds warmth, and gives off positive energy. To me, there's no better feeling than being at home. years creating cocktails, signature drinks, and various recipes at a very popular Hudson Valley, NY restaurant, Double O Grill. (You can follow their Instagram by clicking here!) Over the years many guests had asked me to share these recipes and I decided this site would be a great way to keep them all in one spot. It is also easily accessible for you guys to make, share, repin, and create them yourself! You can of course always visit me if you're local and I will gladly mix you up whichever recipe you'd like! You can follow along our Business Page by clicking here to check out our Event Decor, Floral Design, and Signature Cocktails.